It was September 29, 2014. The New England Patriots had just suffered their worst loss in eleven years – getting blown out 41-14 by the Kansas City Chiefs. Naturally, analysts and media personalities began to speculate about whether the Patriot’s 15-year run of success was coming to an end. During the post-game press conference reporters asked Belichick how much patience he’d have with his aging quarterback and future Hall of Famer, Tom Brady. After all, Brady had just had one of the worst games of his career and was part of one of the team’s most lopsided defeats in years. Belichick laughed at the reporters’ questions about benching Brady. He calmly explained to the highly emotional and fickle media that there was no reason to panic; the more proven a talent, the more patience you must exercise. Belichick believed that Tom Brady had proven himself year after year and it would take more than one disastrous game to give up on what had been a winning formula for so long. He understood that Brady’s long-term reliability more than made up for occasional headaches caused by volatility in his production. So why am I telling you this story? How does Belichick’s head coaching decision relate to finances? Well, Belichick understood what many investors don’t. Unlike the media that panicked at the first sign of trouble, Belichick’s first reaction was to stay the course. He didn’t let short-term volatility in a proven commodity cloud his judgment. And you know what happened? Belichick was rewarded for this behavior (the Patriots followed the loss with 7 straight wins on their way to a Super Bowl). And if you stay calm and avoid knee-jerk reactions to short-term volatility, you may be rewarded be too. According to the Dow Jones Industrial Average, the average annual stock market return from 1900 to 2012 was about 9.4%. Compare that to returns in the real estate market which have been 2-4% historically. Or the bond market that has a historic rate of return in between 5-6%. As an investment, gold has performed about half as well as bonds. Tom Brady has amassed the most wins of any quarterback in NFL history. He has maintained the second highest touchdown to interception ratio. He’s the only quarterback to win five Super Bowls and has been named Super Bowl MVP three times. Both Brady and the stock market have had sporadic hiccups in production. And despite their outstanding track records, media frenzies have ensued. In 1961, the S&P 500 dropped 28% causing massive panic near times of the Cold War and Cuban Missile Crisis. From 1968 to 1970, the S&P 500 dropped 36.1% during a time of growing US involvement in Vietnam. After the Fed raised interest rates nearly 20%, the economy was pushed into a depression and the S&P 500 dropped 27.8% between 1980 and 1982. Since 2001, Tom Brady has lost two or more games in a row on seven different occasions. In 2002, Brady led the Patriots to four straight losses and they missed the playoffs for only time in his career. Brady has thrown four interceptions in a single game six times in his career. In my opinion, the most interesting similarity between Tom Brady and the stock market is the prosperity that has followed each of the negative events I described above. In his book Unshakeable, Tony Robbins notes that since 1900 every bear market has been followed by a bull market. These bear markets – which are loosely defined as a drop of 20% or more in a major index (e.g., S&P 500) that persists for at least 60 days – typically last less than a year. Tom Brady and the Patriots are 38-11 in games following a loss. That’s a winning percentage of .776. On average, they’ve gone on to win their next 2.84 games. Remember that four-game losing streak I mentioned earlier? That was the biggest “bear market” of Brady’s career, and he followed it with victories in five of the next six games. Don’t overreact when something historically great briefly falters in production. As the saying goes, it’s “time in the market, not timing the market” that is the key to success. Imagine if Belichick took Brady out of the game every time he made an errant throw and then put him back in when he felt the time was right. I suppose it’s possible that such a move would prevent an ensuing interception. But given Brady’s track record there’s good reason to believe that removing him would rob the team of bounce-back productivity. Similarly, standing on the stock market sidelines can diminish your investment gains. Consider this: an investor who remained fully invested in the S&P 500 from 1995 through 2014 would’ve had an annualized return of 9.85%. Missing the 10 best days of growth during that nine-year period would’ve reduced those returns to just 6.1%! Interestingly, six of those ten days occurred within two weeks of the 10 worst days. What does this tell us? That we need to train ourselves not to overreact to short-term volitility in the market. Unless, you know exactly when the market will rise and fall, trying to time the market is a fool’s errand. Simply put, the worse things are going, the more confident you should be about staying in the stock market. What if All the Signs Say it’s Time to Get Out of the Stock Market? Wars, political issues, economic struggles are nothing new. We might have the most unique and volatile president the world has ever seen, but who would have predicted the market would behave the way it has during his first year? And there’s no telling where the market will go from here. My point is, there will always be something to worry about. As an investor, your job is to block out the media noise and stay the course. Warren Buffet once said, “I will tell you how to become rich. Close the doors. Be fearful when others are greedy. Be greedy when others are fearful.” The stock market is an abstract thing to so many investors. I think that is a major reason why so many people have mixed feelings about investing. By comparing the stock market volatility to a professional athlete’s performance, I tried to show that we have the best investment vehicle at our fingertips if we can only keep our money in the game rather than on the sidelines. Before you go into your investment accounts and move your money all about different investment markets, think about the examples I gave from Tom Brady’s career and the history of the stock market. We live in a world where the livelihood of many a financial firm is based upon unnerved investors letting them move money around at the first sign of trouble in the market. These ill-advised transactions rack up money management fees and reduce your chances to benefit from bounce-back gains that have historically rewarded the unshakable investors. WHAT'S YOUR PLAN FOR FINANCIAL FREEDOM? 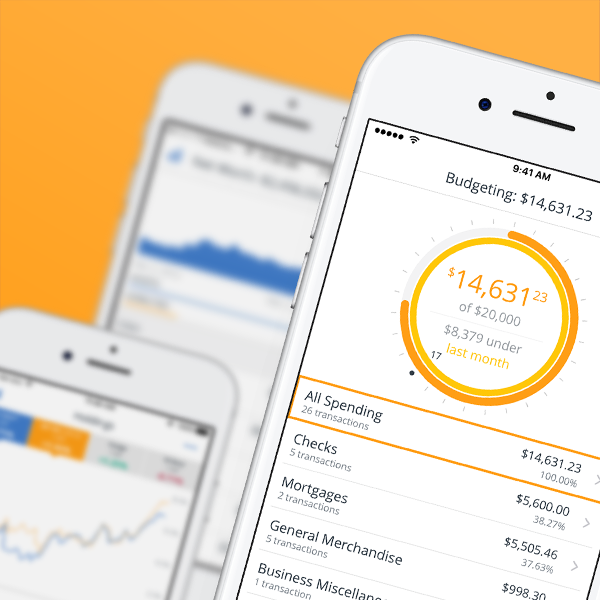 Thousands of people are already using TDB to improve their finances. Why not join the community and learn how to get more from your money? Hi, I'm Darian! I am a twenty-something insurance professional working on my ultimate quest for financial freedom. I hope you enjoyed this article. Stick around to learn more about financial strategies to manage debt, save more, spend less, and live the life you want. Join the community of people who use TDB to improve their finances.